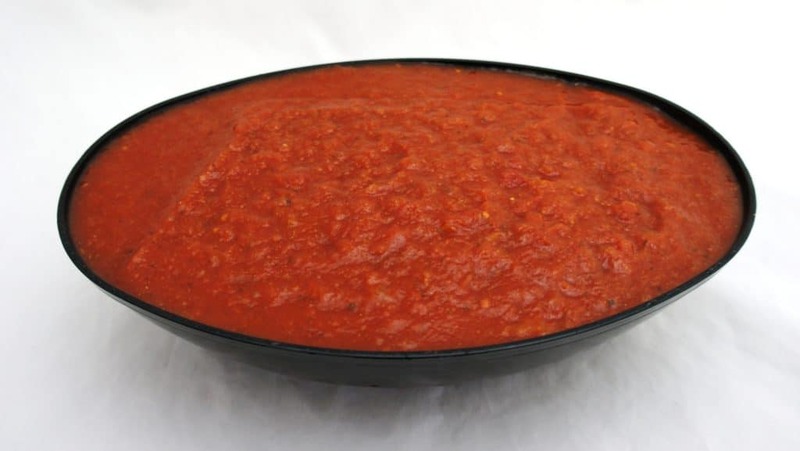 All purpose marinara sauce with diced tomatoes is a moderately spiced blend of ground tomatoes, diced tomatoes, spices and vegetable oil. It is prepared from round and or pear tomatoes that have been washed and hand sorted for quality prior to grinding. Peeled diced tomatoes are added for character.